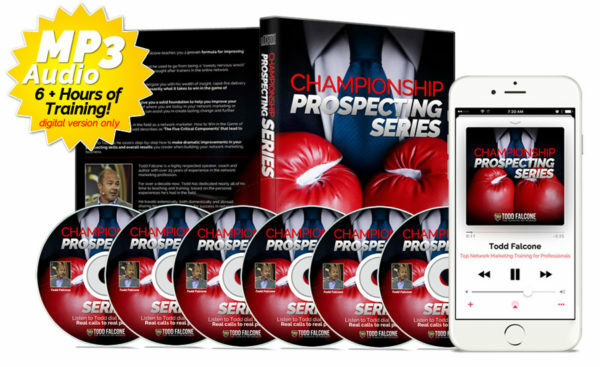 In The Championship Prospecting Series, you’ll discover Todd’s powerful prospecting techniques as they are unleashed on live prospects right before your very ears! 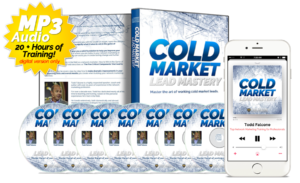 Hear EXACTLY what he does while dialing a variety of lead types and learn to duplicate this proven method of prospecting. 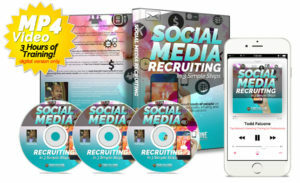 His simple approach has led him to explosive success in the network marketing profession and now YOU can hear exactly how he does it! The Championship Prospecting Series goes way beyond theory. 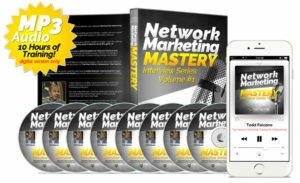 It allows you to listen in and learn as he works his magic on actual prospects. Leave messages with your prospects to get a call back. Uncover your prospect’s core reasons for entering a business. Determine who you will and will not call back a second time. Maximize the number of dials you are able to make per hour. Set firm follow up appointments so your prospect shows up. 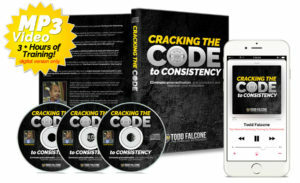 The Championship Prospecting Series allows you to get in the ring with Todd and watch the moves that have led him to success in network marketing.